Green Hill Landscaping is in the business of providing top quality landscaping in Potomac VA and the surrounding areas. Its mission is based on the principle of quality, which it promotes through having the best business guarantee on the market. We want our clients to be completely happy with the work we provide, which is why our services are guaranteed to be great. That’s because we know a happy client is one who not only returns to do business with us, time and again, but one who also spreads the word about us and recommends us to family members and friends. And, beyond that, as you can see from our Happy Customers page, outstanding work speaks for itself, in terms of the beauty and health of the lawns we help put together. Landscaping is part art, part science – and that’s the only reason you need in order to hire a professional landscaper. You want to work with a landscaping company like Green Hill Landscaping for a great number of reasons. For starters, we’re a local company, which means we know all about the specifics of the area. Secondly, we’re a professional, full-service landscaping contractor – you won’t waste your time trying to juggle several contractors at once. 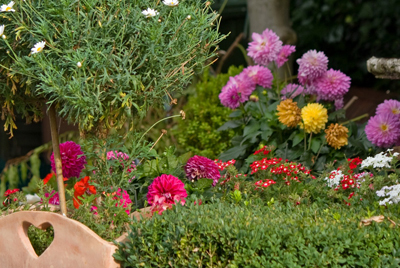 We know Landscape Maintenance, Fertilization & Weed Control, Mulch Installation, Flower Planting and Landscape lighting. Aside from landscape maintenance, we also handle regular mowing, so that you can truly enjoy the most beautiful lawn possible throughout the year. 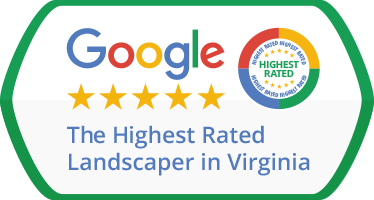 For Top Landscaping, Potomac VA, Don’t Hesitate to Give Us a Call! Do you need landscape lighting? How about irrigation services, or other types of lawn service that requires professional expertise? We’ve got you covered on all counts – and, what’s more, we also recommend that you leave the lawn mowing to us. See, some may think that it’s easy-peasy to cut grass, but we know that turf that hasn’t been mowed right is vulnerable to infection, disease, and fungus. That’s why we only operate with proper, professional grade equipment. All of our tools and vehicles are clean and regularly inspected. Our teams of landscape technicians are uniformed and they all speak English. Your comfort is our top priority, which is why we’ve made it possible for our clients to pay for our services through a wide range of methods. Want to know if we’re all that? Contact us today and see for yourself!